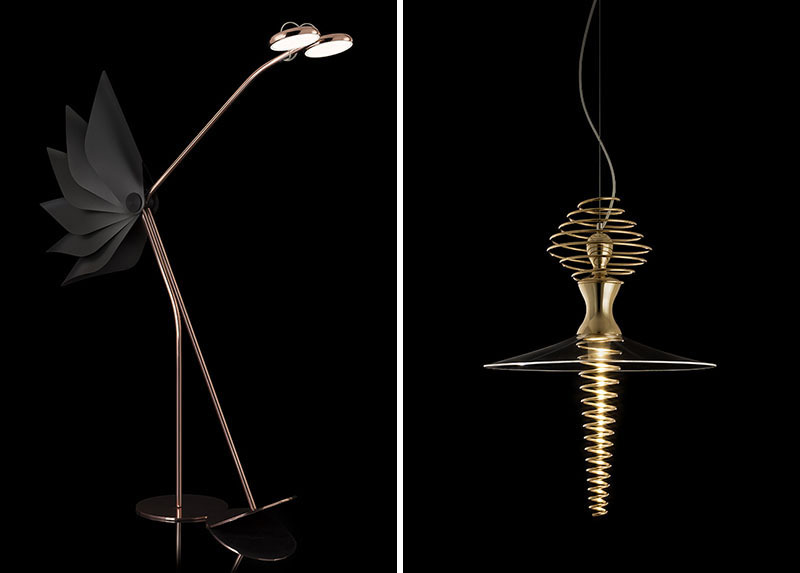 The two lighting designs from Spanish product designer Sergi Ventura look more like artworks than those common lamps. The floor lamp named Dorking looks like a bird, which is made from copper and aluminum with a figurative tail made from plastic; as for the pendant lamp Mia Ballerina, from the name, it’s obviously that the design was inspired by the ballet, “I have captured her (a ballerina) traces while she is rotating to convert them into a sleek, light, and with a movement sensation design.” Sergi said. The lamp body of Mia Ballerina is hand-polished and plated with 24k gold, the lampshade that looks like a dance skirt is made from transparent acrylic.